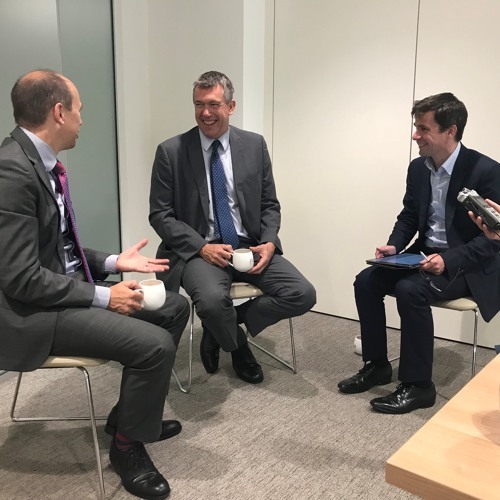 Joined by Andrew Warren, Chair of the Teaching Schools Council, and Stephen Munday, also a member of the Teaching Schools Council, education lawyer Nick MacKenzie takes us back to the start of spring term 2018 for an insight into the conversations that were happening amongst the Council. In response to those conversations – which then reached much wider than the Council itself and resulted in engagement with a wide range of key stakeholders - Andrew goes on to talk about the key drivers behind commissioning their recent think piece ‘Where Next for the Self-Improving School System?’ in partnership with FASNA and supported by Browne Jacobson. Get your copy of the think piece by visiting out website: https://www.brownejacobson.com/education/training-and-resources/legal-updates/2018/05/looking-at-the-future-of-the-self-improving-school-system With a particular focus on getting system governance right, this podcast takes an honest look at the direction of travel for our school-led system - taking Andrew and Stephen’s views on accountability ahead of the DfE consultation coming in the autumn, how they see the system at the moment, and a description of the pyramid representation set out in the think piece for a system of good governance supporting system improvement made up of three ‘spaces’ – the improvement, inspection and intervention ‘spaces’. They also share some thoughts on where next for Teaching Schools. “We have to be saying to Teaching Schools - work with others like you’ve never done before, share with others like you’ve never done before, because there are some challenges but we can’t solve them on our own” - Andrew Warren, Chair of the Teaching Schools Council. Nick MacKenzie is independently ranked as a leading lawyer for education nationally. He has significant experience advising on the creation and development of academy groups, joint ventures, Teaching Schools and collaborations in the education sector and providing governance and strategic advice. Connect with Nick on LinkedIn: https://www.linkedin.com/in/nickmackenzieeducationlaw At a national level, Andrew Warren is the Chair of the Teaching Schools Council. Andrew is also the Executive Director of the Manor Teaching School Alliance, based at Manor Primary School in Wolverhampton - consistently one of the best performing primary schools in the country. The teaching school’s brief is to support schools and find the next generation of outstanding teachers and leaders. He is also a qualified coach and professional mentor and works closely in this capacity with many headteachers and senior leaders. Stephen Munday is the Chief Executive of The Cam Academy Trust and the Executive Principal of Comberton Village College. Stephen works in several advisory capacities with the Department for Education, including the Teaching Schools’ Council and the Eastern Region Headteachers’ Board, and is a National Leader of Education with the National College for Teaching and Learning, and an Associate Head with the SSAT. Users who like Continuing the conversation on our school system – the TSC think piece & looking ahead - what next? Users who reposted Continuing the conversation on our school system – the TSC think piece & looking ahead - what next? Playlists containing Continuing the conversation on our school system – the TSC think piece & looking ahead - what next? More tracks like Continuing the conversation on our school system – the TSC think piece & looking ahead - what next?